We are at Day 30, but still we are feeling that there is lots more to share with you guys. Its been a remarkable 30 days, and those of you who stuck with this, We hope that you guys enjoyed it too. And it did affect you all in the positive ways. For Day 30, we have chosen lines from Gurbani. And Its important to understand and then meditate upon these words. 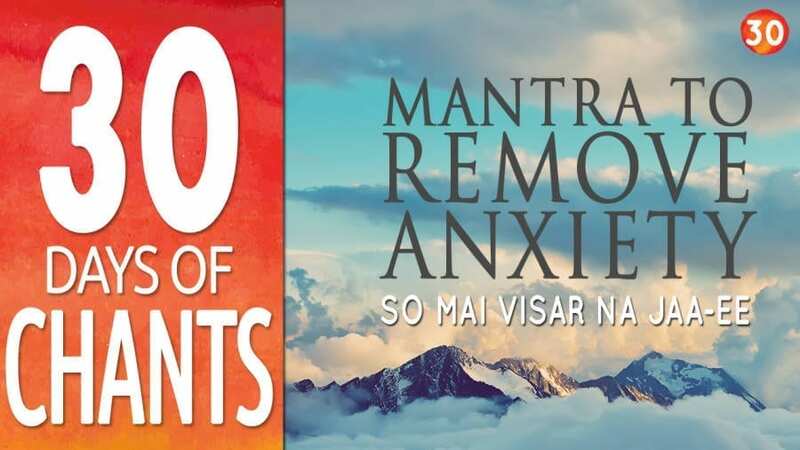 As you meditate, this mantra can be really powerful tool to handle, anxiety, worry and fears that we have. If you can by-heart this Mantra, this Gurbani, and whenever you are worrying too much, when every you are fearful about future, this can help you. Most of our worries and most of our anxiety is due to now knowing whats going to happen next, whats going to happen in future, Instead of following our hearts, we spend too much time in these thoughts.THis Gurbani says that there is only one creator for all of us, all the souls, and when creator creates us, he also takes care of all our needs. He is the one who gives. He has a plan for all of us, then why we worry. Whats the point in worrying. Surrender to the will of our creator. He created us for a reason, and he will make sure that if we follow our hearts, if we are true to ourselves, the reason we are here, is also taken care of. Lets not forget our creator, our source ever.